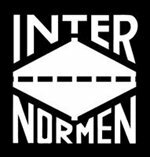 The name “INTERNORMEN” represents high class technical workmanship, entrepreneurial continuity and innovative strength in hydraulics and lubrication since more than 40 years. Helmut Franger founded the Internormen-Filter Corporation in Mannheim, Germany in 1972. Objectives were the production and distribution of filters for hydraulic and lubricating fluids, which would live up to highest quality requirements and set standards in the international market. Today, the manufacturer of hydraulic and lubricating fluid has turned into an international corporation, which accompanies their customers into the future as a professional partner in technology. INTERNORMEN Technology possesses the key technology beyond the manufacture and distribution of hydraulic and lubrication filters. In order to concentrate and benefit better from the possibilities our products, we divide our business activities into seven divisions. With more than 4000 different single types including the corresponding filter housings and the special solutions for the different business areas, from mobile hydraulics and steel industry to the Off-shore, INTERNORMEN Technology detects and removes all contaminations in the fluids. A very important factor of INTERNORMEN Technology’s corporate strategy is our total quality management and customer orientation starting by the development, going through the production to the distribution of our products. The certification according to the ISO 9001:2000 is the result of our high quality standards. All our subsidiaries work according to this standard. INTERNORMEN Technology’s success is also based on the entrepreneurial responsibility whose major components are vision and competence. With an equal treatment of innovation and quality we will keep on stabilizing our technology and market position. Furthermore, we will extend our internationally technological advance.